Shazam is one of the leading services for finding out what that song is that’s playing on the radio that you didn't hear the title to, as well as getting lyrics to songs as well. They’ve pretty much gotten so big that TV shows have Shazam spots in shows so that you can get access to featured content. Now with a new update, you’ll be able to find everything faster. 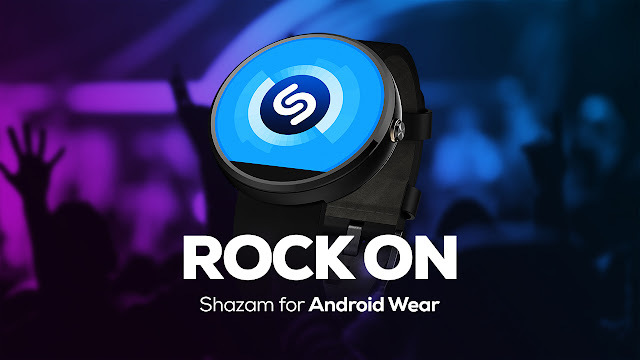 Thanks to their latest update, Shazam now works with Android Wear; within two taps of your smartwatch, you'll be able to find out what a title/artist of a song is, along with following the lyrics on the screen — all without touching your phone. Songs are also adding to your ‘My Shazam’ for lookup later and can be added to your ‘My Shazam Tracks’ playlist if you’re a Rdio or Spotify user. The Shazam update should be rolling out soon and you will have to update your app. Good on them for staying up to date with the times, and possibly improving their service’s ability.